Protect America’s Oceans from Countless New Oil Spills! 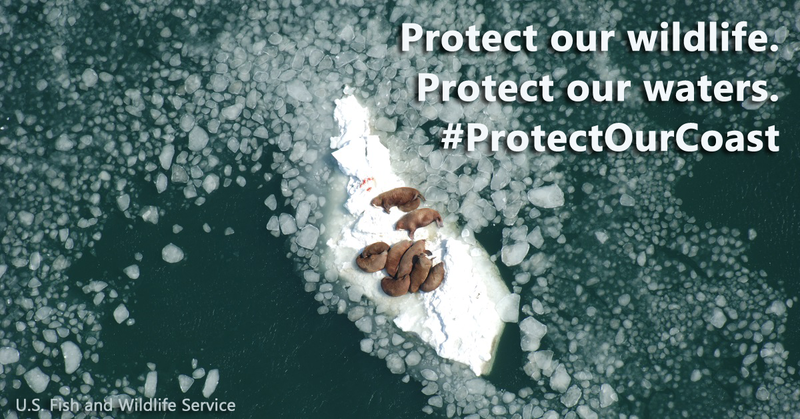 I call on you to reject new oil drilling along America’s coasts, especially risky areas like the Arctic Ocean where it is nearly impossible to clean up a spill. The Draft Proposed Plan of the Outer Continental Shelf Oil and Gas Leasing Five Year Program 2019-2024 puts all of our sensitive water at risk. This plan proposes expanding offshore oil drilling into nearly all U.S. waters, including areas in the Arctic Ocean permanently protected by President Obama. This proposed plan threatens our coastal communities, marine wildlife, public health and climate. We oppose this move to re-do the five-year program. Despite the increasing climate disasters facing our nation, the Trump administration has proposed auctioning off huge swaths of America’s oceans for oil and gas drilling. Interior Secretary Ryan Zinke’s five-year Outer Continental Shelf proposal radically expands offshore drilling in Alaska, including not just the Arctic Ocean but areas critical to marine life and traditional uses. In addition, it threatens our wildlife, coastal communities and visitors in the Atlantic and Pacific oceans with catastrophic oil spills and the collapse of coastal jobs and economies. . Please speak out in defense of our oceans and our coastal communities. Tell Secretary Zinke to keep our coasts off-limits to oil and gas drilling.